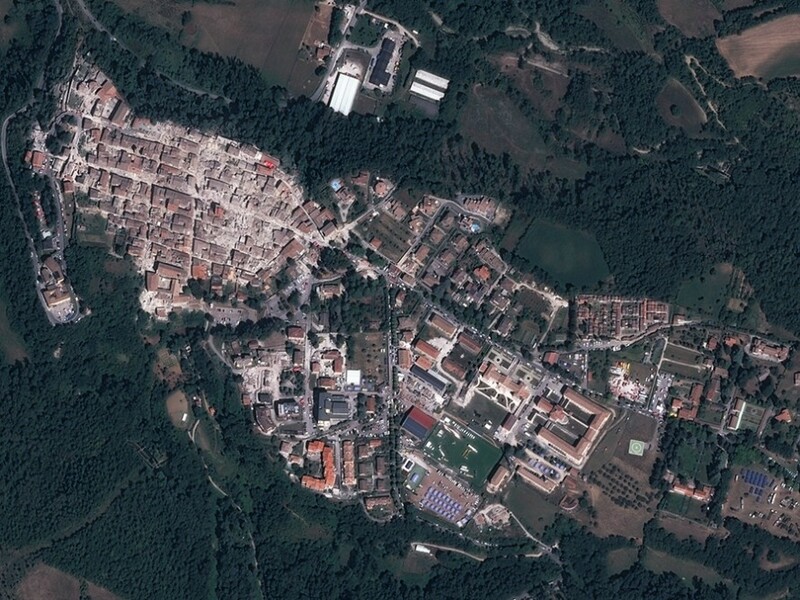 A magnitude 6.2 earthquake struck the centre of the Italian peninsular on 24th August. 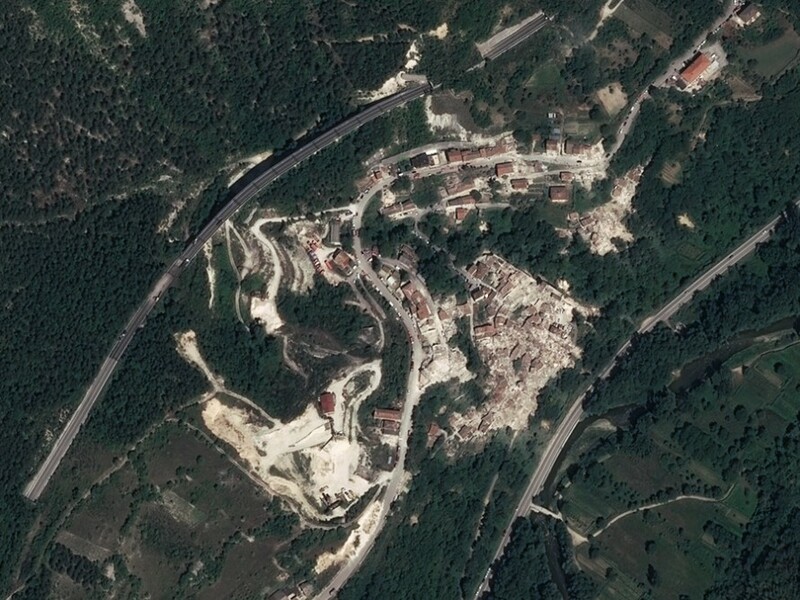 The mountain village of Pescara del Tronto was almost completely destroyed and the town of Amatrice was turned into a pile of rubble in just a few seconds. Detailed images of the area, and in particular the two towns most affected, urgently needed aid and the appropriate emergency response planning on the ground. The extra-high tasking priority from OneNow option, utilising the high-resolution Pléiades satellites, was the right solution to obtain detailed coverage quickly. 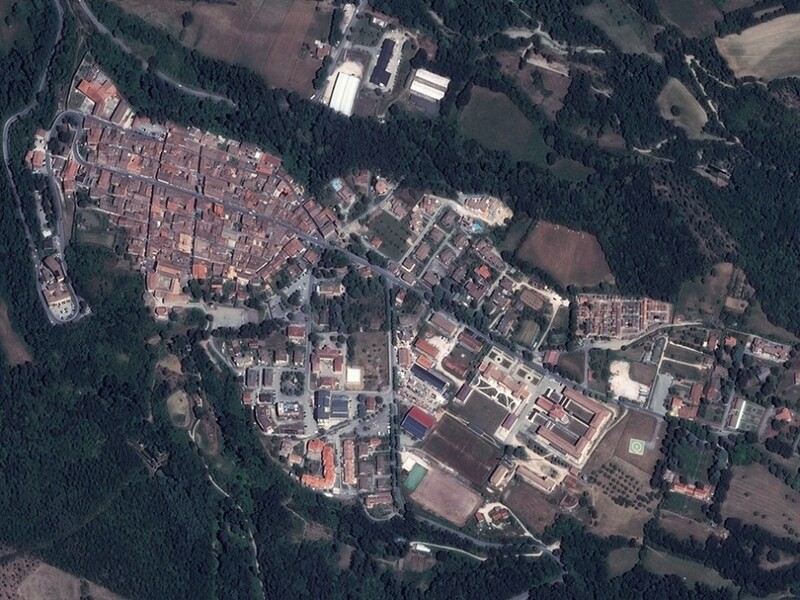 The satellite was quickly programmed using GeoStore. By comparing the captured images of the situation with a Pléiades archive image of 13th July 2015, the impact of the earthquake on buildings and the roads network was immediately visible on the image captured on 25th August 2016, the day after the disaster. The OneNow tasking option enables information from Pléiades and SPOT6/7 satellite images to be obtained less than 24 hours after the programming request was made on GeoStore (or directly through the customer’s usual Airbus contact). To obtain most useful results, up to three forced satellite acquisitions are proposed to provide coverage of the area of interest at the soonest. If weather conditions are difficult, additional attempts are proposed, until cloud-free coverage is obtained. For the earthquake in Italy, OneNow programming was initiated for three Pléiades acquisitions on 25th, 26th and 27th August 2016. However, it was possible to already identify the extent of the damage on the first acquisition.